I spend a considerable amount of time cruising around our town and state in search of the perfect dining experience. Of course, an essential component of any excellent meal is an appropriately matched wine that is reasonably priced. 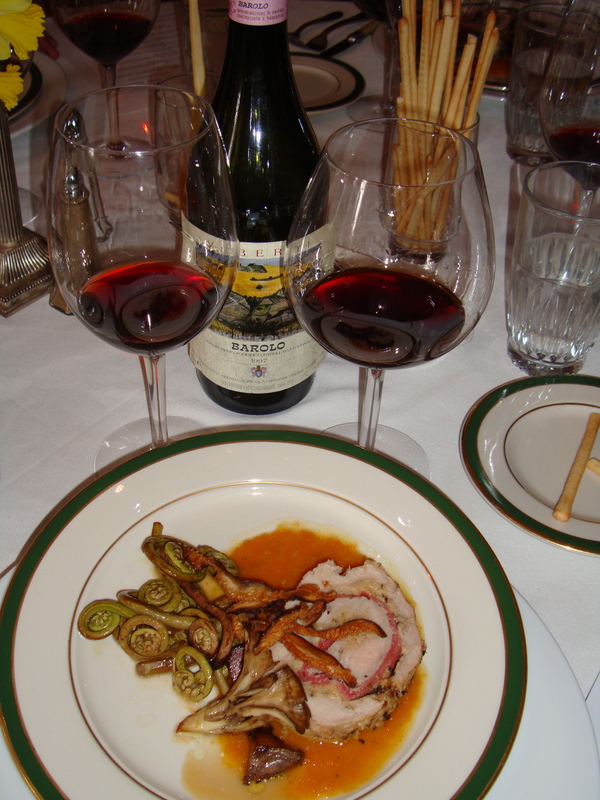 We are blessed in the Kanawha Valley to have several fine dining establishments with very good wine lists. I am always on the lookout for those eateries that understand the importance of wine and attempt to craft a list that complements their specific menu. So today, I’ll report to you on the best wine restaurants in West Virginia as rated annually by The Wine Spectator magazine. Wine and food lovers in our state should be proud to know that eight West Virginia establishments are among those receiving the lofty honors in 2018. According to the magazine, Wine Spectator’s restaurant awards program recognizes places whose wine lists offer interesting selections, are appropriate to the cuisine and appeal to a wide range of wine lovers. To qualify for an award, the list must present complete and accurate wine information and it must include vintages and appellations for all selections, including wines by the glass. The three categories of awards are: “Awards of Excellence;” “Best of Awards of Excellence;” and the “Grand Award.” Only 2453 restaurants across world have received the “Award of Excellence,” including six restaurants in our state. Two other WV restaurants received “Best of Awards of Excellence. ” That’s quite an honor since only 1215 restaurants on the planet achieved that distinction. And only 91 restaurants around the world received the highest honor. Unfortunately, none are located in our state – yet. The state restaurants receiving “Awards of Excellence” are: Bridge Road Bistro; The Chop House; and The South Hills Market and Café – all in Charleston; The Wonder Bar Steakhouse in Clarksburg; Provence Market Café in Bridgeport; and Sargasso in Morgantown. The two restaurants that received “Best of Awards of Excellence” designations are: The Greenbrier’s Main Dining Room in White Sulphur Springs and Spats Restaurant in Parkersburg (at the Blennerhassett Hotel). The Wine Spectator recognition is a special tribute to the winners in the Mountain State, and we lovers of wine should do our best to patronize these restaurants. We should also encourage our other favorite eateries to upgrade their lists and/or submit them to the magazine for future consideration. Here in Charleston, one restaurant that should considering entering their wine list for a Spectator award is Laury’s. Not only do they have some of the best food in the city, but they also have the most comprehensive and reasonably priced wine list too. Other restaurants in town that should consider submitting their lists are: The Block; Paterno’s At the Park; Noah’s Restaurant and Lounge; Bricks and Barrels; and The Barge Restaurant. Restaurants wanting to have their wine lists evaluated by The Wine Spectator for a possible award should contact the magazine at www.winespectator.com on the criteria for each award level. Applications must be submitted Dec. 1, through Dec. 31, 2018 for consideration.